There’s not a lot to dislike about Super One More Jump. On its surface it looks like a fairly generic Super Meat Boy derivative, but beyond its stout square character, the ease in which you can very quickly die in its short challenge levels – and the instant reset when you do – Super One More Jump shares more with auto-runner mobile games than the intricate fine-tuned play that a Meat Boy demands. 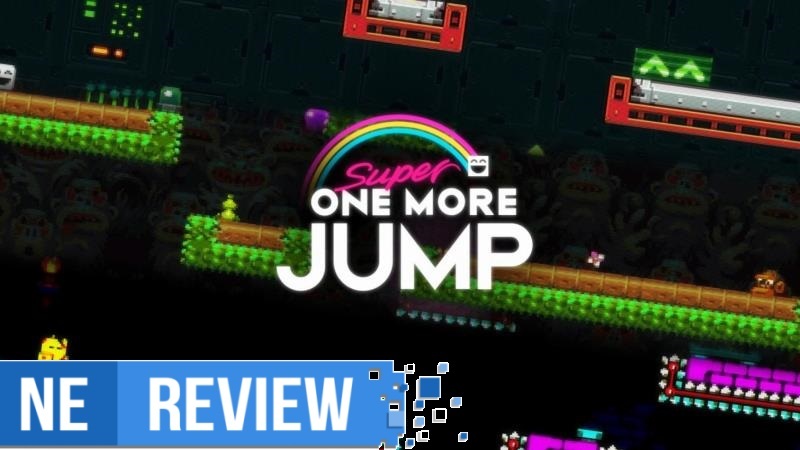 It wasn’t a surprise to learn that this is a souped-up version of Premo Games’ One More Jump. As a result it’s mechanically undercooked to be a slightly awkward fit for a dedicated console with a full array of buttons and sticks.